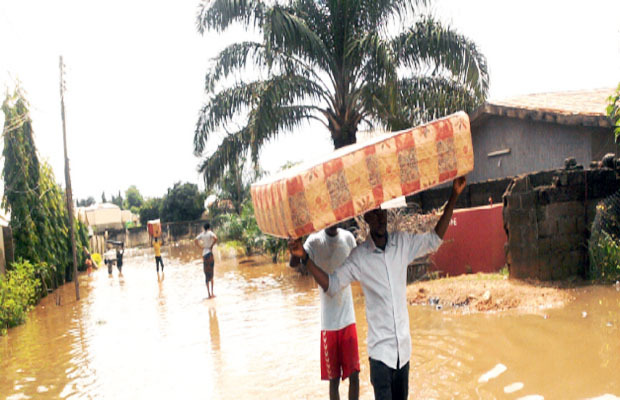 A flood killed four people and destroyed several houses in Zaria, Kaduna State on Monday. The flood was triggered by heavy down pour which occurred on Monday. It was caused by a collapsed bridge that blocked the water channels. It ravaged Magume community of Kaduna State destroying a bridge, several houses and farmlands. 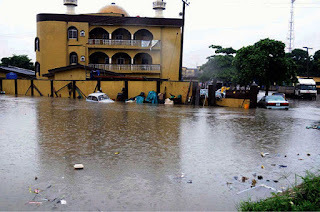 The flood claimed the lives of four people; a woman and three children. The Deputy Governor of Kaduna State, Bala Bantex accompanied by top government officials consoled the victims of the disaster and assessed the level of damage. The Deputy Governor assured that the collapsed bridge would be repaired immediately. 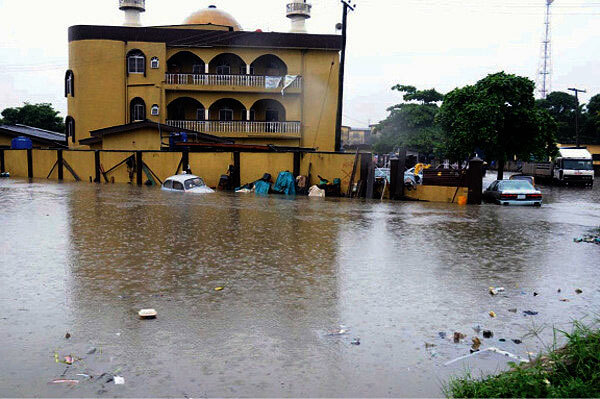 He mandated the State Emergency Management Agency (SEMA) to provide immediate relief materials to the victims. Although, SEMA put the number of deaths at four, residents claim seven people died. They stated that the incident was caused by the lack of proper drainage which they said led to the collapse of the bridge. They appealed to the State government to come to their aid by fixing the collapsed bridge. They also lamented loss of household property. The government delegation also visited the Emir of Zazzau after inspecting the flood affected areas. 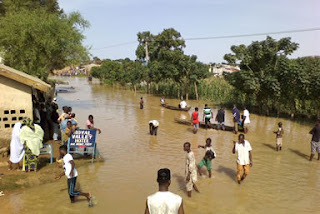 With the rains still pouring, the prayers of the residents is that a quick repair of the collapsed bridge and drainage will avert a recurrence of the disaster.